Air Purification: Turf grass is a good way to filter out harmful pollutants from the air. Did you know that within a thick lawn, there are 6 turf grass plants in each square inch, 850 plants in a square foot, and about 8 million plants in an average lawn of 10,000 square feet. These plants have an extensive root system that runs underneath the average lawn. It is estimated that grass traps about 12 million tons of dust and dirt from the air annually. Oxygen Generation: Many activities in our lives create poisonous gases such as carbon dioxide. One of the benefits to having turf grass is that it requires carbon dioxide to survive. It takes this poisonous gas out of the atmosphere and replaces it with oxygen. Grass is such an efficient carbon dioxide/oxygen converter that an area just 50 feet by 50 feet generates enough oxygen to meet the needs of a family of four. Erosion Control: Turf grass has high density and a massive root structure which makes it a good plant for erosion control. Healthy turf has the ability to absorb and conserve water. It also will filter water and prevent run-off. 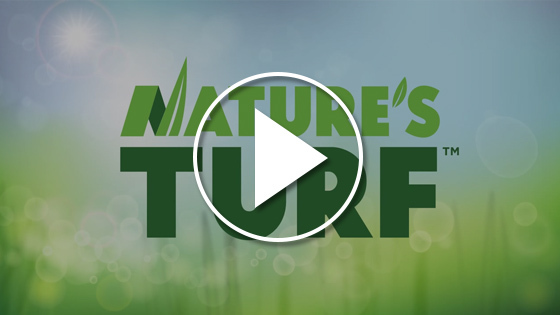 This is a major reason you see turf grass used on slopes, roadsides, and around parking lots. Temperature Modification: All plants play an important role in controlling climate. Turf grasses are among the best groundcovers for efficient control of solar radiation. On a hot summer day, a lawn’s surface can be at least 30 degrees cooler than that of asphalt.